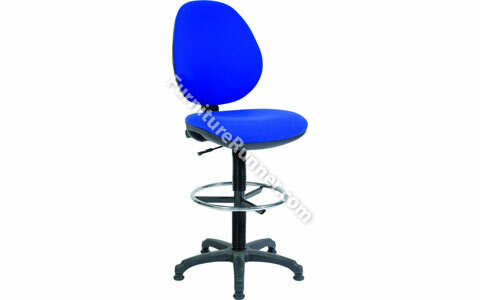 Medium back operator chair with gas seat height adjustment and permanent contact backrest. The ring kit is fixed, if you want it to be adjustable then see the Deluxe Version. Accepts optional armrests.